Yes, I know it’s October. And mid-October at that, but I’m still catching up with the very, very long list of things that have been going on in my life that I want to capture here. In a way the summer seems like it was a life-time ago, but strangely it also feels like only a couple of days since it started. And boy did the summer start with a bit of a bang! 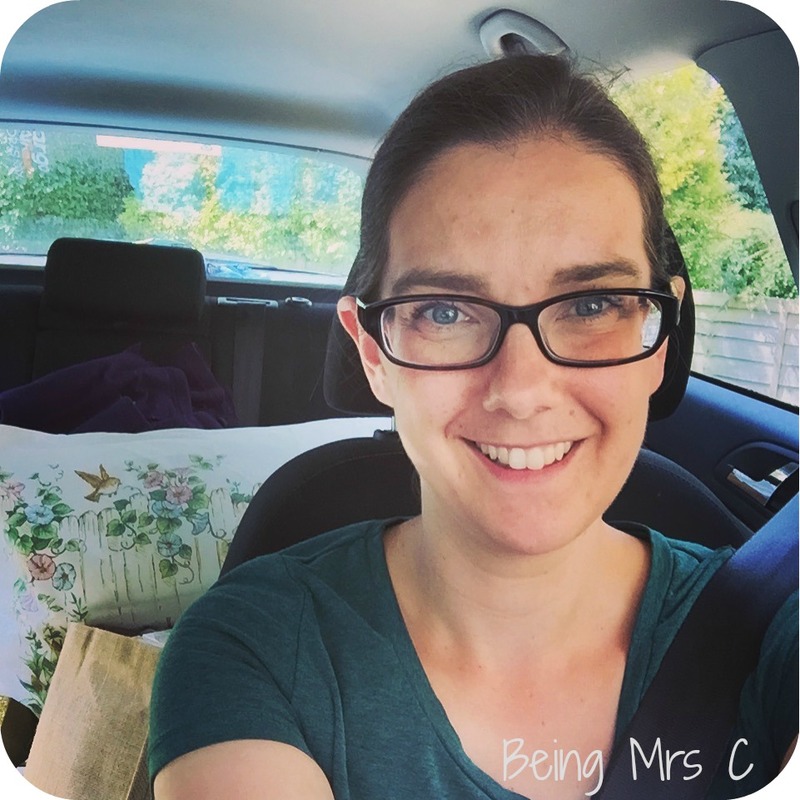 I’ve blogged several times on here about the things that I’ve been getting up to at the lovely Herts Belles WI group that I joined here in St Albans a couple of years ago. Up until earlier this year though I only really went along to their monthly meetings and joined in whatever was organised. That’s all changed now though. 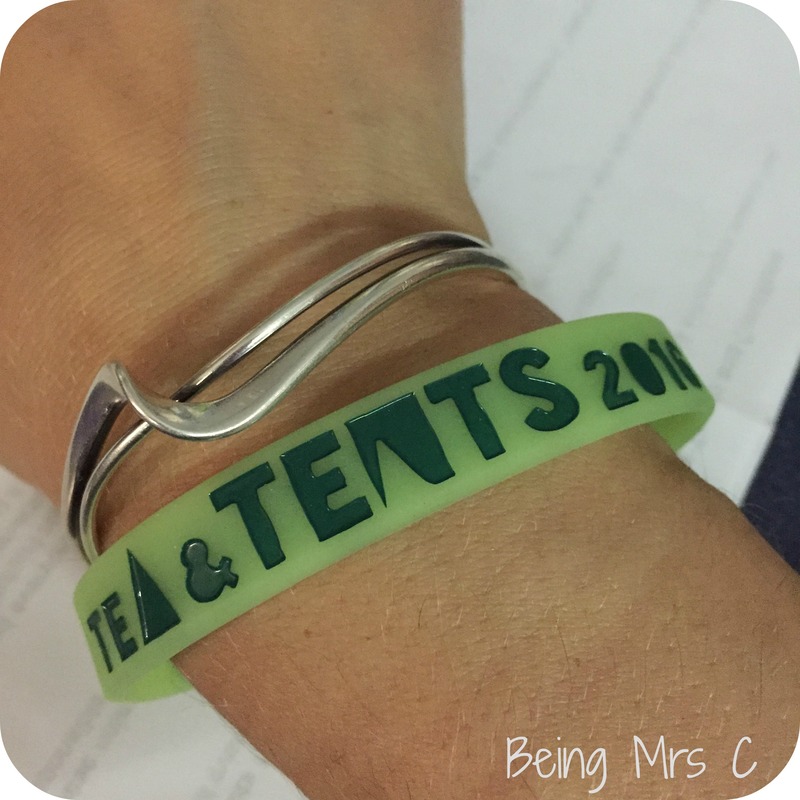 Four of the Belles last year went along to Tea and Tents, which is an unofficial WI mini-festival where members from across the country camp at a huge Scout camp in Nottinghamshire and basically have a fantastic time. Last year I couldn’t go as it fell on my birthday weekend and I didn’t think the kids would be too impressed not to see me that day. The Belles all came back saying how amazing it had been, so absolutely nothing was going to stop me from going this year. My ticket was booked back in February – within minutes of them going on sale as the whole event sold out within less than 15 minutes – and I spent hours on the Tea and Tents Facebook group reading about all the amazing things that were planned. I was about as excited as my kids are in the run up to Christmas. 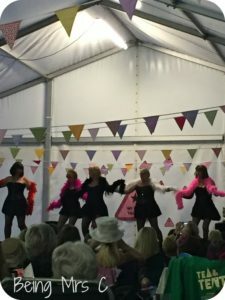 Just the week before Tea and Tents though there was another bit of WI excitement planned – a visit to the Herts Belles from the woman who is probably one of our most famous members – Joanne Croxford. Now, if you’ve not heard of Joanne, where on earth have you been? A former drug addict, Joanne credits the WI with saving her and helping her to turn her life around. 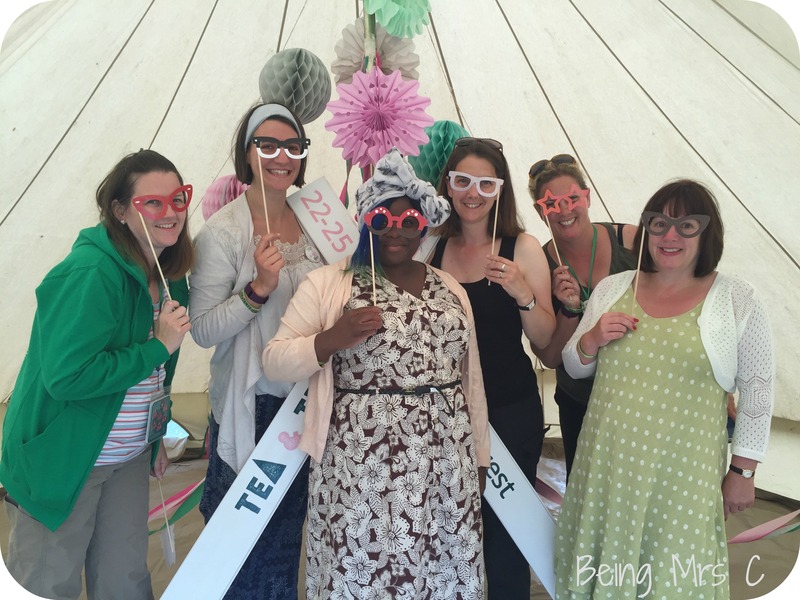 And her way of thanking the WI for doing so, is to have become one of our biggest advocates. She pops up everywhere to tell people how wonderful the WI is and how it’s not all Jam and Jerusalem. 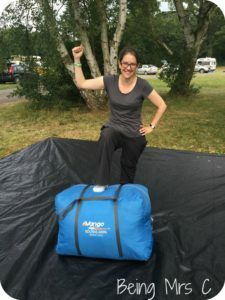 Now I’d read about Joanne before and even see the media coverage of her trip to Glastonbury to serve cake to festival goers, but that still doesn’t quite prepare you for meeting Joanne in the flesh. She came to share her story with us and I have to say it was one of the most inspiring talks I have ever, ever seen. As I walked home that night I spoke to a friend on the phone and he commented on just how much I seemed to be buzzing. I felt utterly invincible after hearing her speak. It turns out though that my evening listening to Joanne talk was just a warm up for what was simply one of the most inspiring weekends of my life. 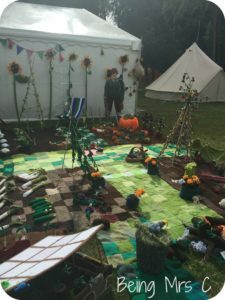 The whole idea of over 500 women coming together and spending a whole weekend camping together, sharing meals, attending workshops and talks and joining in various activities may sound a bit strange. I know it sort of does to me, as I’m someone who has always studied and worked in mainly male environments, hence ending up with many male friends. But somehow it just worked perfectly. I have never come across such a friendly and welcoming bunch of women. For the whole weekend people just wandered around the campsite, introducing themselves and chatting away. We all had that common bond of being WI members and that seemed to somehow unite us in a way that I’ve never seen a bunch of women unite before. There was no bitchiness or anything like that. Instead I just met incredibly supportive women, having huge amounts of fun together. 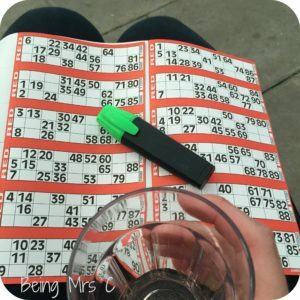 There were seven of us there in the end from the Herts Belles and although we often went our separate ways in the daytime to follow different interests, we came together each evening for huge amounts of fun, laughter and (let’s be honest about it) gin! We laughed together at the WI talent show, commiserated together when we didn’t win at the bingo and also toasted success when our Hertfordshire team (including two from Puckeridge WI) managed to be joint winners of the Sunday night quiz. Our amazing combined knowledge of TV theme tunes meant that we scored an impressive 20 out of 20 in that particular round! I came home feeling like I’d made friends for life. I also came home feeling so incredibly inspired and once again invincible. I’d listened to talks about WIs being set up in prisons and mental health hospitals. I’d spoken to women who had been through all kinds of personal challenges and come out on the other side smiling. I’d sat crocheting in the sunshine with a cup of tea at my side whilst around me women took part various exercise classes and mindfulness sessions. And I’d stood proud singing Jerusalem with my WI sisters. As some friends had warned me, returning home after Tea and Tents did lead to a slightly strange crash of emotions. From being in a field with likeminded people and no real responsibilities to being back at home, having to deal with life and everything that it throws at you is actually a really difficult transition. More so that I’d anticipated. Once that crash was over though my mind turned to how to take all that inspiration and that invincible feeling and turn it into something good. The last couple of months therefore have seen me join the committee of the Herts Belles and also start putting a few little plans in place for some work that I want us to do to help local charities. I know I’m not someone with lots of free time on my hands, but I do want to use some of the time I do have to help us to help others. I’ve also been throwing myself into WI activities, especially the sports week that took place last month. Power hooping, rock climbing, a walk in the woods and a spot of flash mob dancing all within a week. But there’s enough to say about all that to fill another blog post! Who said getting the tent back in its bag was difficult?